Is it really illegal to encourage your child to miss school? The answer may surprise you. If you have been charged with a crime for encouraging your child to carry out a specific action, you may be held accountable. 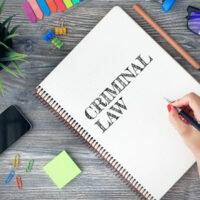 Adults can be charged with a crime for encouraging, allowing, or assisting a juvenile (someone under the age of 18) to break the law, or even to contribute to their own dependency. While the juvenile themselves may not be charged with any misdemeanor or felony at all, an adult can face serious life-changing penalties. A “child in need of services” includes a child who has persistently run away from home, missed school, and to have persistently disobeyed the lawful and reasonable demands of their parents/guardians, according to Florida statute 984.03. Encouraging a child to run away from home. It is a third degree felony for any person over the age of 21 to impregnate a child under the age of 16. Neither the child’s consent or lack of chastity is a legal defense for violating this section. Moreover, no other offenses need to have been committed during the act for the adult to be charged under this statute. A third degree felony is punishable by up to five years in prison and a $5,000 fine. There are many defenses to charges filed against you under this statute, but you must first contact an experienced attorney. The West Palm Beach criminal defense lawyers of the Skier Law Firm are here to help you today. Contact us at once to get started on your defense. We have assisted countless clients beat charges against them or have penalties drastically reduced.